It’s not the congestion that is the biggest problem, but the suburban sprawl that is creating the traffic. 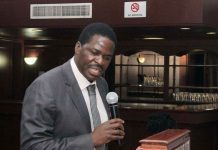 On November 6, 2018 the City of Harare hosted a Consultative Workshop at Holiday Inn on transport policy for the city. The facilitators challenged participants to come up with viable solutions to solve the transport crisis that has affected the city. 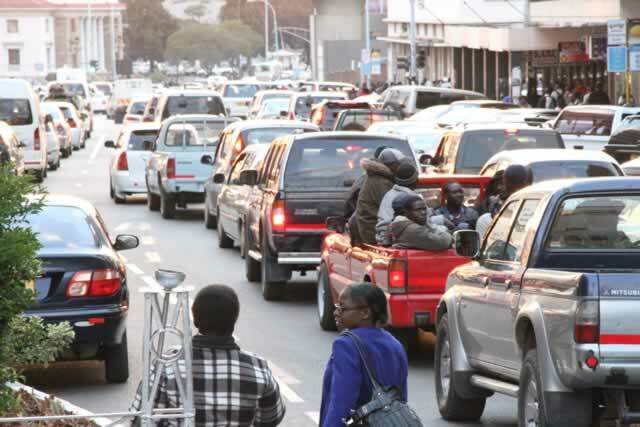 Transport in major cities particularly Harare has become a major urban issue. Traffic congestion, informal transport (kombis), unreliability, poor safety, deteriorating road infrastructure. Several solutions have been tabled; expansion of existing roads, construction of roads interchanges and elevated highways, Bus Rapid Transit systems, Cable Cars among other revolutionary solutions. In these grand proposals nevertheless, realistic effective solutions that work and fit our context tend to be overlooked. Urban development stakeholders need to be grounded and stay away from spaced-out transport solutions which not only put scarce resources to ineffective use but also worsens the traffic eventually. Whenever traffic congestion hits city, the immediate proposal to this is adding traffic lanes and expand existing roads. In Harare, the city’s current roads are regarded not planned for the now population. Of course, some of the roads need expansion. When Harare’s road network was planned during the colonial era, it was not to serve just the people that lived in the city then, it was planned with prospects of making Harare a metropolis of millions. This is the reason most of the streets in CBD are as wide as New York City’s. In fact, most of them are wider than average European road widths. Regardless that widening roads was well known as early as the 1950s to instead increase traffic congestion surprisingly it is still popular. The problem with expanding roads and adding lanes is that people will use them. Since traffic congestion is a constant which expands to field capacity, all we will be doing is trying to solve obesity by loosening up the belt. One of the major and popular proposal is construction of elevated highways and interchange which can be stacked up into 2 or 3 tier intersections. During the past election season, they were popularised as “spaghetti” roads. Well-intentioned nevertheless, such solutions can be one of the best ways to waste the country’s precious resources. The problem with these types of roads is not only that they are so expensive to build costing millions of dollars and consuming more than seven acres to site. They are ineffective in solving congestion if anything, they in fact increase congestion in the long run. As early as 1942 Robert Moses the master builder of New York City discovered, places where he had laid out elevated highways and widened roads in fact had worse traffic problems than it was before. One of the biggest mistakes that was done by the British military civil engineers (not town planners) that laid out streets of (then Salisbury) Harare was to let intercity highways such as Samora Machel Avenue to rim through the city. Now, twerking that intercity highway into an elevated road will be trying to put cosmetics on a wrong, it will lead to more traffic problems within a CBD. The most effective way of solving traffic congestion is not providing more roads for the growing car population but to eliminate travel distance and travel trips. This can be done by mixing land uses and increasing the density so that everyday needs are within a close reach and work and home are close to each other. Residential areas and commercial office spaces can mix to facilitate walkability. In Harare efforts where made when the city expanded the CBD to nearby suburbs such as Eastlea, Milton Park, Avondale, Belvedere. This move was regarded keeping up with trends of new urbanism. The challenge with this development was that it was market-driven. Businesses were fleeing a deteriorating CBD seeking better office space as a result it did not hold the attributes of mixed use development since businesses have been driving out residential uses at an alarming rate. Given the inner-city suburbs were low density, single family housing, it is still difficult to walk within the areas. There have been several proposals for mass transit particularly in Harare. From Bus Rapid Transit, Trams to cable cars. Several delegations and academics went to Brazil multiple times to learn the best practices of mass transit and pilot studies have been done. Surely, these mass transit systems have worked quite well in most cities across the world. Requisites settings exist nevertheless that ensure they work effectively and efficiently. Without a proper urban density and right mix of land uses (where residential commercial and retail are within reasonable distance to each other) mass transit systems will fail and will fail so dismally. In early 2018 when we evaluated mass transit systems performance across Africa, (Bus Rapid Transit System and Trams), we found, of all the systems, only two were making reasonable revenue. Morocco’s Rabat-Salé Tramway and Nigeria’s Lagos Bus Rapid Transit System Lite (BRT Lite). Rabat-Salé Tramway serves the densest parts of two cities, Rabat and Salé which are separated only by the river, Bou Regreg. Lagos’s lite version of BRT has been also serving the most populated city, Lagos whose travel demand is very high while by being lite, it kept the operational costs very low. Other than these two systems, the rest are making huge losses regardless of being subsidised by their governments. In South Africa, BRTs in Johannesburg, Cape Town, Tshwane at their best are recovering maximum of 40% of operational costs thus making 60% in losses. They are even failing to expand their routes. As a matter of urgency, the best transport solution for Zimbabwean cities is to tighten urban boundaries and dump the practice of building single family housing units. It is not an urban way of living and will be more expensive to provide mass transit to suburbs if not economically nonviable. Mass transit system is only as viable based on the compactness of the city. Harare has a considerable number of people who walk, a number that might deceive urban professionals and policymakers to regard Harare as a walkable city when the walking is out of inability to own a car. During the workshop on the 6th promotion of walking and cycling was raised repeatedly. The problem with current land uses however, they do not promote any of these as the issue of density and land uses has been highlighted. Cycling is beyond providing cycling infrastructure as without the proper density and mix of land uses, cyclists have to travel long distance which will not be ideal for everyday mobility. As a result, cycling in our cities is mostly out of indigence as the cities’ designs are not friendly. Only a change in the design of our cities will change this culture. The European cities which are usually referenced whenever people talk of a cycling culture are designed so dense and so mixed in land uses that work, home and everyday needs are within reasonable cyclable distance. Walking and cycling in most cities across the country also suffer from neglect by urban authorities and urban professionals, the biggest being lack of protection from abusive motorists. If we were to classify pedestrian right of way as one of human rights, in Zimbabwe, motorists are the most frequent abusers of human rights. Every single minute a pedestrian/cyclist’s right of way is abused by motorists turning at traffic intersections. Walking and cycling has become regarded an act of second-class citizens as motorists tend to hold themselves with highest regard on the road. Most motorists, the very moment they walk to their cars and drive, they tend to develop contempt for pedestrians. As pedestrians find their right of way abused at designated traffic intersections, jaywalking has become the better and convenient way of navigating the city’s roads. Regardless of this prevalence of this abuse of pedestrians by motorists, no civil society organisation has ever bothered to intervene. The neglect of pedestrians and cyclists by urban authorities and urban professionals is so self-defeating in their efforts to address traffic congestion as they are inducing traffic. Pedestrians and cyclists are so underserved that they are going nuts. Some of the roads in the inner cities are too wide for pedestrians to cross safely let alone the increasing number of roads that are being turned into one-way streets that by affording motorists the luxury to cruise in the middle of the city they also strangle the life blood of pedestrians. The cities are so stressful, so inconvenient, and dangerous for pedestrians and cyclists. Now, the earliest moment pedestrians and cyclists can afford a car, they are quickly converting to become motorists and add to the growing congestion and the everyday fight for a piece of asphalt. Making the cities pedestrian friendly by reigning on the abusive behaviour of motorists is of critical concern and this is a matter of enforcing traffic laws as supposed to be. Evidently, abuse of right of way at traffic intersections is a traffic offense which is supposed to attract a hefty fine yet, nothing happens to motorists at all. It has become a cliché. If as a pedestrian you try to exercise your right of way in front for example of a commuter omnibus (kombis) operators usually rant, “you are not made of steel”, other motorists will horn at you. Traffic problems might be regarded a mere urban nuisance that inconvenience people and cost businesses some money productivity wise. It is more threatening however, a national security concern that can throw a country off the cliff if not handled properly. In Ancient Africa, cities were created with physical security concerns a reason Great Zimbabwe has grand walls around it. Now security threats are economic; oil crises. The suburban way of developing cities where people spread out in their spacious houses sitting on acres of land should not be the main pattern of a city. This will create very high dependency on cars and for a country that is not oil-producing (and even oil-producing) it highly exposes the country to global oil prices fluctuations. When the speculative fuel crisis hit the country recently the results of insecurity and potential uprisings where emerging. We need to develop and repair our cities, run them as if oil is running out already, the old way. Archimedes Muzenda is a town planning expert who supports cities across Africa with technical advice. His new book, The Tyranny of Urban Specialists is coming out April 2019. Feedback- contact@archimuzenda.com.